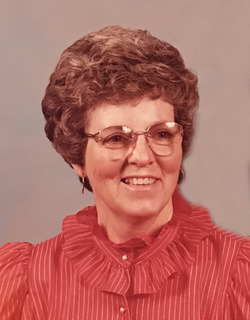 Alice Alta Britton, passed away Sept. 15, 2018, in St. George, Utah. She was born May 16, 1925, in Ontario, California, to Raymond Bateman and Cordia Douglas. She married James M. Britton in 1944. Alice was raised in San Bernardino, California, and later in Newhall, California. She graduated from San Fernando High School and also worked in the war effort for Bermite Ammunition Factory in Saugus, California. Alice was preceded in death by her husband James. She is survived by her sons Lewis Raymond Britton and Scott Houston Britton; four grandchildren and eight great-grandchildren; cousin Paul Douglas and numerous nieces and nephews. In lieu of flowers, please make a donation to a multiple sclerosis fund, cancer fund or Best Friends Animal Sanctuary in Kanab, Utah. Graveside services will be held Thursday, Sept. 20, at 11 a.m., at the Hurricane City Cemetery, 200 E. 600 North, Hurricane, Utah. A visitation will be held prior to services, from 9:30-10:30 a.m., at Metcalf Hurricane Valley Mortuary, 140 North Main Street, Hurricane, Utah.